Nintendo wasn't kidding when it said that the 3DS would have a ton of third party support: Metal Gear Solid, Assassin's Creed, Final Fantasy and more are coming to the handheld alongside old Nintendo classics. Nintendo has promised that the handheld will enjoy significant first-and-third-party support when it launches, and judging by the press kit, it wasn't kidding. The full lineup is massive: From Nintendo itself, we get the revival of classic franchises like PilotWings and StarFox (not to mention Kid Icarus). From the third party publishers? We get a whole lot of stuff - MGS, Final Fantasy, Resident Evil, and a lot more. Here's the full lineup via Shacknews. 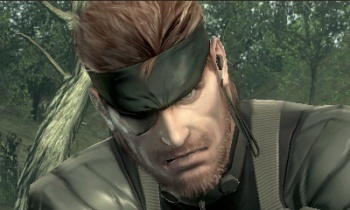 o HIDEO KOJIMA'S METAL GEAR SOLID SNAKE EATER 3D "The Naked Sample"
Good lord. Nintendo killed it this year, and the 3DS is looking mighty impressive. Keep an eye out for hands-on impressions. The screen you see here is from the apparent MGS3 remake Snake Eater 3D: "The Naked Sample," and boy that looks nice for a handheld, don't it? See more 3DS games on the Nintendo site.